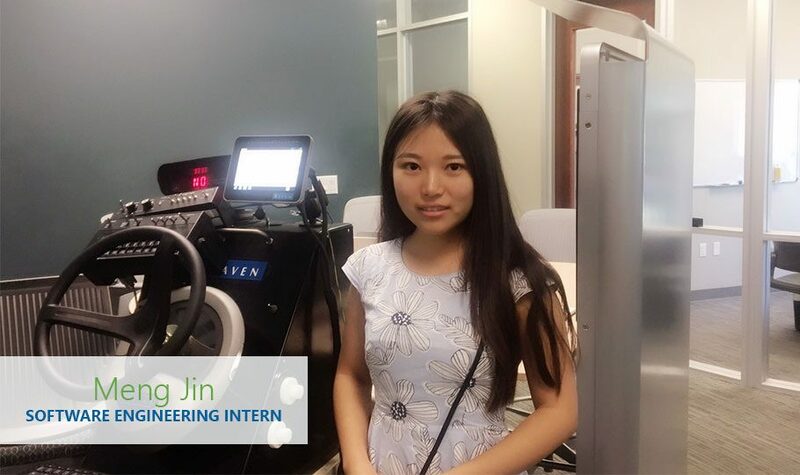 Meng Jin is a Software Engineering Intern for Raven Applied Technology in Austin, Texas. She is a student at Texas A&M University majoring in Computer Science. Meng is working on the CRX application on Raven Applied Technology’s computers this summer. She fixes bugs in the system and creates new features for the program. The people Meng has encountered has been her favorite part of summer so far. “Everyone here is friendly, kind and willing to help others,” she explained. She appreciates the willingness of her peers to listen to the ideas and thoughts of interns, even though they are still learning. Despite not knowing much about the products at the start of the summer, she is continually learning with the help of her mentor, Ed Wilson, Engineering Team Lead. As Meng began working through simple problems, she was able to work her way up to more complicated challenges. “You will benefit a lot if you cherish this opportunity,” Meng says as an encouragement to future interns. Texas A&M offered Meng the ability to study in a great lab and reminded her of her undergraduate university. Meng wants to apply what she has learned from her schoolwork and in her internship this summer as an outstanding software engineer.